as I am going to share few different type of cooking style of Seafood! Sweet Chili Sauce & Mango with deep fried Siakap! Do you know that during the food review, I am the last one to finish eating because too enjoying the crab! salted egg sauce blend in well with the crab meat! savoury salted egg with juicy fresh crab meat is perfect match! This is something different that I haven't tried even in Chinese Cuisine! the crabs are well marinated with Capsicum and Black Papper! Warm, Creamy & Confort Soup . It's great for a rainy day! Next goes to Vegetable Ya! I love broccoli and mushroom! Other than Seafood & Vegetables! Here another few meaty dishes to recommend! Mild Spicy, goes well with rice! You sure will like it so much! Crispy OutSide , Soft Inside! So Creamy, I think kid will love it ! 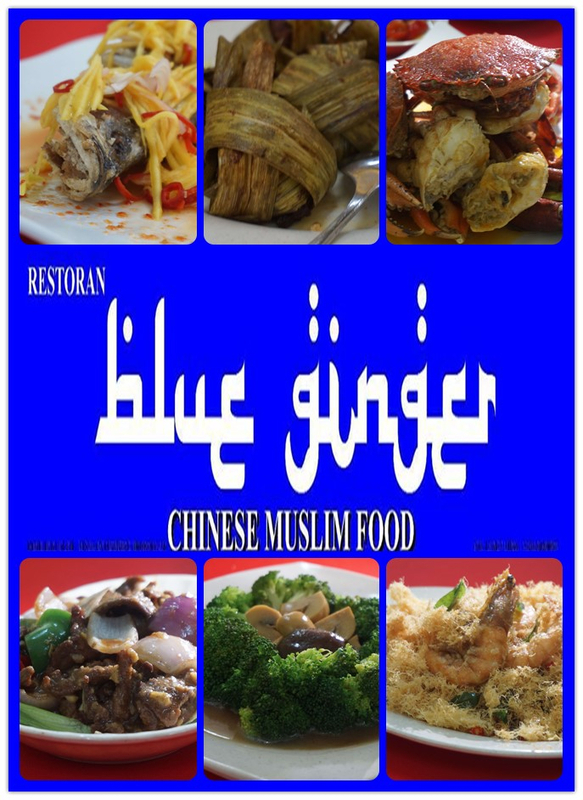 Blue Ginger Restaurant Chinese Muslim Food really got the Chinese Cuisine KICK! The Taste of Frying / Level of FIRE is there! Waaa Kongpow Chicken. Must try this! Yaa you were really enjoying the crab, I thought you were going to lick the plate hahaha. I loved the Siakap Thai Style, delicious!